Arkansas Country Doctor Museum > Margaret E. Holzwarth, R.N. Margaret Elizabeth Kienholz was born to Ben and Ruth Kienolz on January 24, 1921 on a farm in the Township of Osceola, town of Bird Island, Minnesota. The family was of Swiss descent. Margaret was the ﬁrst of two children. She had one younger brother. The small community centered around the Evangel church and the one-room school where Margaret was educated through the eighth grade. Later she rode the school bus to Bird Island High School and graduated with the 1938 class of twenty-one. Margaret married George John Edward Holzwarth Oct 9, 1943. The couple had two girls. Over the years they sponsored 14 exchange students. George died in 2004. The Marriage had lasted 60 years. While George was in the Army, Margaret worked private duty on night shifts and for a short time as a school nurse in North Carolina. Later she worked at various nursing positions in Kansas. In 1952 the Holzwarths settled in Fayetteville, Arkansas. In June of that year, Margaret applied for work at the new 35-bed Springdale Memorial Hospital to work on the night shift. She and one other Registered Nurse were given responsibility for all patients in all services: emergency room, labor and delivery, nursery and medical and surgical units. They were responsible for giving all medications and preparing patients for surgery the next morning. There were three nurses aides and an x-ray tech. At that time only three doctors practiced in Springdale. Each of them was willing to come when called and the trust between the nurses and the doctors held the hospital together. Margaret grew with the responsibility and soon became the night supervisor. In 1956 she was moved to the day shift as assistant Director of Nurses, and in 1958 was promoted to Director of Nurses, a position she held for eighteen years. During this era, the hospital expanded from the original 35 beds through 3 major construction projects. These were years of rapid advancement in medical science and the introduction of hi-tech machines in patient care. Throughout Holzwarth held patient care foremost as her responsibility. Finding and keeping good nurses was top priority. Even though she was in an administrative position she was able to keep her skills updated and could ﬁll in when she had staffing problems. Often she answered patient’s lights when her nursing staff was busy. To keep up with expanding demands on nursing she opened an In-Service Department to prepare nurses to work in Intensive Care Units and other emerging specialty units she initiated. Her interest in education led her to support and work with the Practical Nurse School (served on its Advisory Board); develop an orientation program for graduates of the Associate Degree Nursing Program from the University of Arkansas, develop an EMT course in cooperation with the ﬁre department and offer a nurses aide course. Throughout all, she demanded high standards and constant awareness of patient needs. Nurses and nurse’s aides were expected to know what was happening to every patient at all times. In addition to her hospital and family responsibilities, she was active in the Nurses Association: was Northwest District Nurses Association President; was president of the Arkansas State Nurses Association in 1970-1; served as Delegate to the American Nurses Association Convention in 1971. She was also a member of Eastern Star and was a ﬁnalist for the Diana Award given by the Springdale City Council of the Epsilon Sigma Alpha Sorority honoring an outstanding Woman of the community. In 1975 Margaret Holzwarth retired. 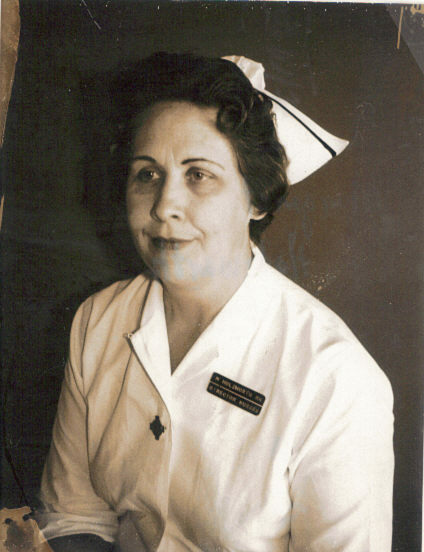 She had served 22 years at Springdale Memorial Hospital, eighteen years as its Director of Nursing Service. An Award’s Ceremony was given in her honor. The many hospital’s Board of Trustees members, doctors and nursing staff members who attended, paid high respect to her long time contribution to the high level nursing care she demanded and the reputation the hospital had for its nursing under her directorship. Through all the hi-tech growth in medical care in the two past decades she had kept nursing care at the forefront. After retirement Margaret Holzwarth and her husband traveled extensively in Europe and later in a recreational vehicle in the United States and Canada. Margaret Holzwarth died on December 6, 2010 at the age of 89. Internment is at the National Cemetery in Fayetteville, Arkansas.